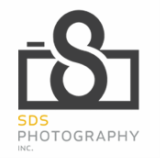 Head Shots - SDS Photography, Inc. I really love taking professional head shots for people. It makes me feel good to know that I am helping my client make a great first impression or help them get selected for various types of work. Whether they are business professionals, actors or actresses, I love knowing that I helped them be successful. Know that I will not stop until you are happy with your images. I will give you different options to choose from and let you pick several of your favorites so that you have a variety of images to use for different scenarios. At the end of the session, you will have trouble picking your favorite.